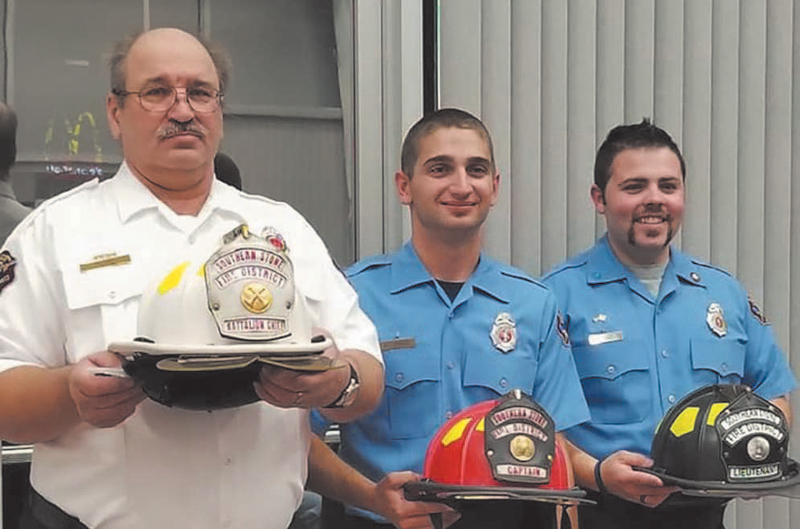 The Board of Directors for the Southern Stone County Fire Protection District accepted these recommendations for promotions on November 16, 2017. 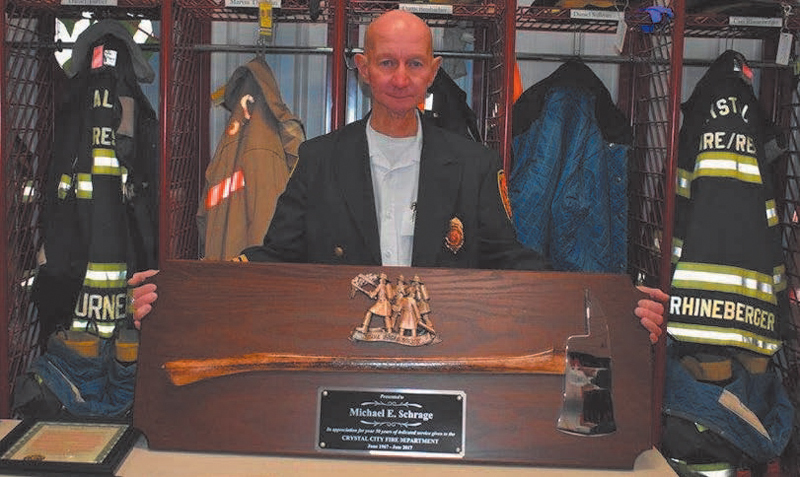 Michael Schrage was honored in November 2017, by the City of Crystal City as well as other governmental entities for his 50 years of service as a volunteer firefighter. 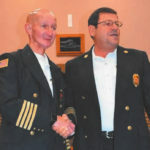 He currently serves as the Assistant Chief for the City of Crystal City, Missouri. 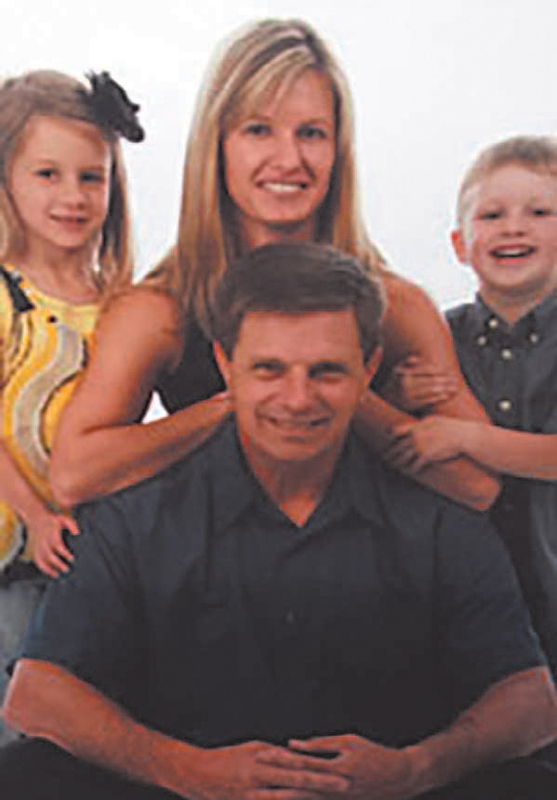 Michael is the owner of Schrage Electric Service, and the son of the late Robert and Wanda Schrage, brother to Marilyn Nengel, Robert Schrage Jr., Jo Marie Miller and James Schrage. He is the husband to Janet Schrage and father to Brandi (husband Daniel) and two grandchildren Audri & Allyson Sauer. 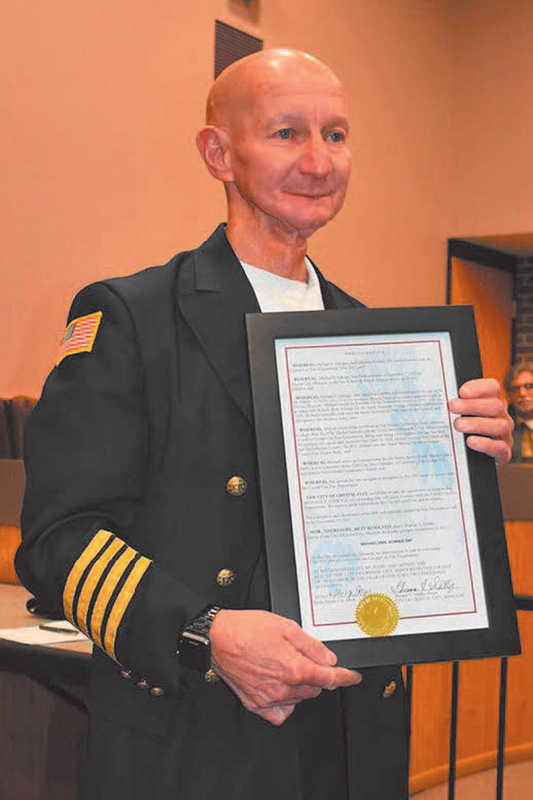 Fire Marshal Tim Bean honored Retired Chief Jim Bollinger with a proclamation from the Governor and the Fire Marshals office for his years of service with the Marble Hill Fire Department. On December 16, the Knob Noster Fire Department (KNFD) made their annual trip through the Knob Noster Community escorting Santa Claus and delivering gifts to local children. 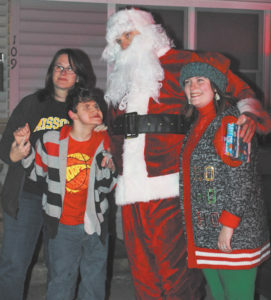 This year there were 42 scheduled stops at local address and numerous unscheduled stops to greet all of the kids that came out of their homes to greet Santa. This annual event started in 1991 with 10 to 12 stops and has blossomed into one of the most exciting evenings the residents of Knob Noster enjoy during the Christmas season. The City of Cameron Fire Department accepted delivery of a new fire rescue pumper truck in August of 2017. 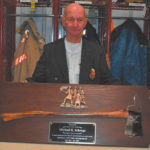 The pumper, a Ferrara MVP Pumper Rescue Apparatus was purchased from Firemaster Fire Apparatus in Springfield, Missouri. The pumper has a full rescue body, equipped with a Waterous One Step CAFS System and a 1000 gallon water tank. 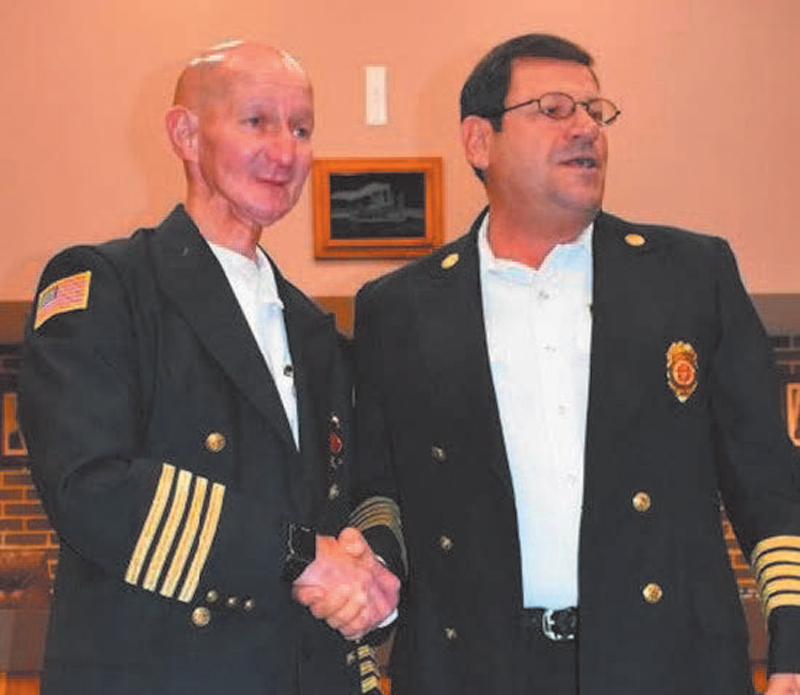 The purchase of the apparatus was made possible by a 1/4 cent fire department sales tax passed by Cameron voters in April 2016. The Cameron Fire Department is a paid-per-call fire department responding to approximately 350 fire and emergency related calls per year. 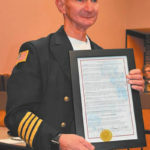 The department provides protection for the City of Cameron and 144 square miles of Cameron Rural Fire Protection District with a total population of approximately 18,000 residents.